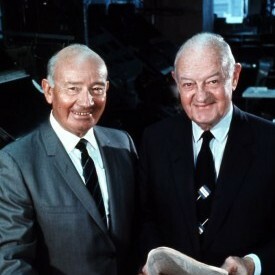 Knight Foundation works in 26 communities where brothers John S. and James L. Knight owned newspapers. Resident program directors oversee grantmaking in eight cities, while community foundations serve as the liaison in the remaining 18. Knight Foundation has invested more than $841 million in community initiatives since its creation in 1950. The national network of learning inspires the actions of residents in each of their communities and helps build a better democracy and a successful future. The Knight Foundation Fund focuses on identifying and working with partners to help Wichita attract and nurture talent, enhance opportunity and foster civic engagement. Investment opportunities through the Fund helps Wichita be more informed and engaged. The Knight Foundation Fund at WCF supports Wichita’s work in revitalizing its downtown and surrounding neighborhoods* to accelerate talent attraction and retention. Through our efforts, we hope to ultimately help increase Wichita’s population. We invest in Wichita’s core city vibrancy by supporting projects in smart design, the arts and entrepreneurship. *Surrounding neighborhoods include: Delano, Douglas Design District, North End, SoCe and Riverside. All applicants to Knight Foundation Fund at the Wichita Community Foundation must be in good standing with the Kansas Secretary of State’s office, must be currently exempt under IRS Section 501(c)(3), and classified as an organization to which contributions are deductible under Section 170(c)(2), normally a public charity under Section 509(a). Knight Foundation Fund grants are awarded in April. A total of approximately $250,000 in grants will be awarded in 2019. See below for deadlines. Share the intent of your project with us through the Letter of Inquiry. If we’re interested in hearing more about your idea, we will contact your organization with additional, detailed questions to determine grantees. Applications are available online only. If you do not have access to a computer, please visit your nearest public library for access. Grant requests will be reviewed by a local committee, with final decisions determined by Knight Foundation in Miami, Fla.
Grant Progress Reports are due to the Wichita Community Foundation following the completion of any grant project, or within 12 months of the date of the grant award.